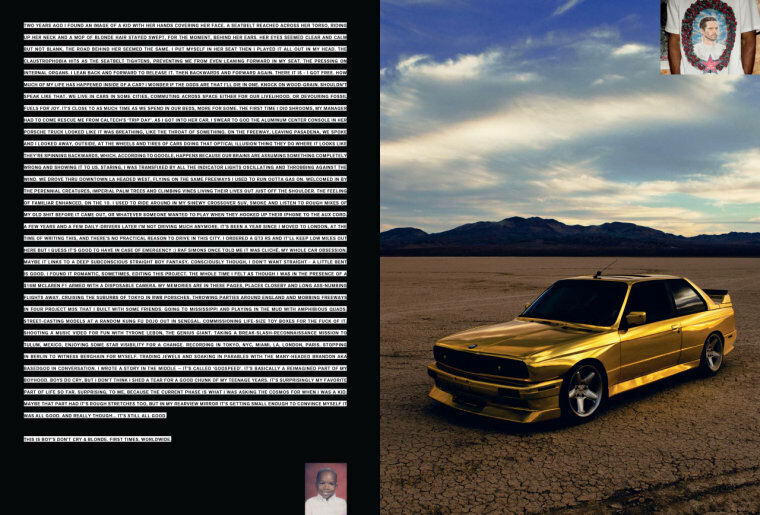 After he dropped his Blond album and Boys Don't Cry zine in pop-up stores worldwide, Frank Ocean went to the internet to share a spread from the publication. Posted on his Tumblr, his chosen section features a picture of one of his beloved luxury cars adjacent to a personal essay about his attachment to them. He recounts a time when Raf Simons accused his car fantasy of being cliché, "a deep subconscious straight boy fantasy." In response to that notion, Ocean writes, “Consciously though, I don’t want straight - a little bent is good.” Read the full post here. 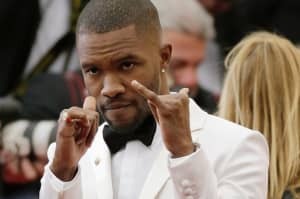 View both tracklistings of Frank Ocean's Blond albums here.